If your carpet is wrinkled or lose, you may think that you need to have it replaced entirely. That’s not necessarily the case. Most often, wrinkles, buckling, and lose carpet can be repaired fairly easily by giving it a “facelift”. Carpet re-stretching will remove the wrinkles and buckling from your carpet and give it a fresh new look. Just like most other things in your home, carpets have a lifespan. On average a carpet can last fifteen years or so, as long as you take care of it. There are several culprits that can cause your carpet to buckle and wrinkle. The padding may be low quality – or the wrong kind. If your carpet installer tried to save some money on installation and didn’t check the manufacturer’s specifications for padding, or used a low quality underpad, it may be why your carpet is wrinkling. The most common cause of carpet wrinkling is simply improper or insufficient stretching when your carpet was initially installed. The process of making carpets has changed over the years and carpets are stiffer now. If your carpet installer used only a knee kicker instead of a pole or power stretcher, your carpet probably wasn’t stretched to the manufacturer’s specifications. This is why it is imperative to hire a professional carpet installer who stays up-to-date on the latest changes in his or her industry. Delamination is what happens when your carpet separates from its backing. You should check your warranty and make a claim, because delamination may be the result of a manufacturing issue. But delamination can also be the result of humidity or other moisture build-up from flooding or vapour rising up from holes in the concrete slab that your carpet is on. Over wetting, which is usually the result of improperly applied carpet cleaning techniques, but can also be the result of flooding or other moisture build-up, can cause your carpet to wrinkle and buckle. Two more factors to consider are humidity and temperature. If your carpet was installed during a particularly humid day, that may be a contributing factor to your carpet wrinkling. If your carpet installer did not let the carpet acclimate to the environment prior to installing it, that may be part of the buckling problem. Homes or rooms that reach high temperatures (above 85-degrees Fahrenheit) for extended periods of time can also cause your carpet to warp. Carpet restretching can extend the life of your carpet and give your home a “fresh carpet” feel. 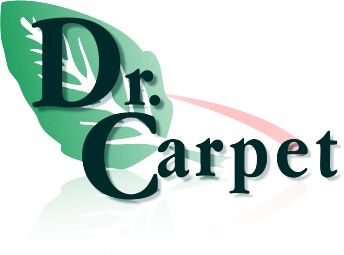 For more information about carpet repairs, carpet restretching, or to get your free quote, please call Dr. Carpet at 647.800.5199. We specialize in all kinds of carpet repairs for loose, buckling, frayed, torn, stained, and water damaged carpets in the Greater Toronto Area. You had a few guests over one night and something got spilled on your carpet. You immediately cleaned it up and made sure to get up every visible drop. Then, a few days later, you notice that the carpet looks stained again. Is this a figment of your imagination? Has the stain come back to haunt you? It is not your imagination or a ghostly apparition; that stain is definitely back. Let us tell you why. If you did not thoroughly clean up all the cleanser you used to get up the stain, the residue may have lingered in the carpet fibres. That residue becomes sticky and attracts new dirt and dust, which can make it seem like the original stain has returned. If you properly rinsed and blotted the stain on your carpet, chances are you weren’t able to thoroughly dry the backing of the carpet. Sometimes, if the spill was large enough, even the underpad may be wet. Even though you got the stain out of the carpet, it may be reabsorbing liquid from the surfaces underneath – essentially re-staining the carpet. 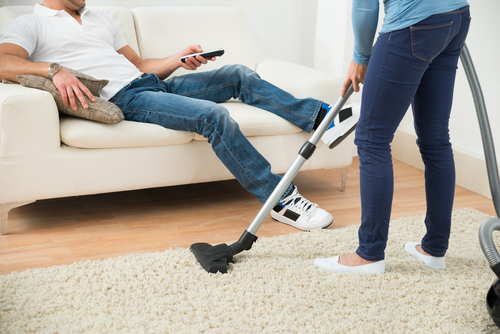 Wicking is usually seen in carpets that are wet – especially if you have attempted to steam clean your carpets yourself. Rental steam cleaning units are simply not powerful enough to extract all of the water from the carpet fibres and the resulting wetness can cause your carpet to “wick up” the liquid from underneath it. 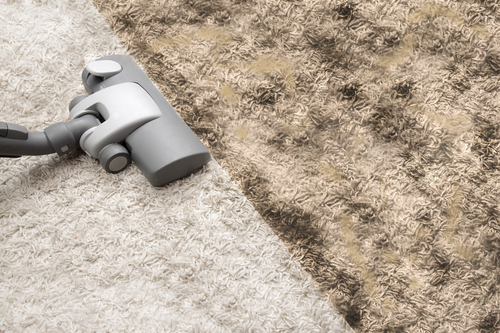 To ensure wicking does not happen to your carpet, you should always hire your local Toronto carpet cleaning company when you need your carpets steam cleaned. As soon as you notice a spill you should clean it immediately, in order to stop liquid from seeping into the sublayers. After treating your carpet, place a stack of paper towels or a light-coloured towel down on the stain, and use a heavy object, like a stack of books, to weigh it down. The weight will help the towels absorb any extra moisture that may remain in the carpet. In extreme cases, you may need to pull back the carpet to let the underpad – and possibly subfloor – dry out. Once you are sure that everything is completely dry, you can reinstall your carpet. 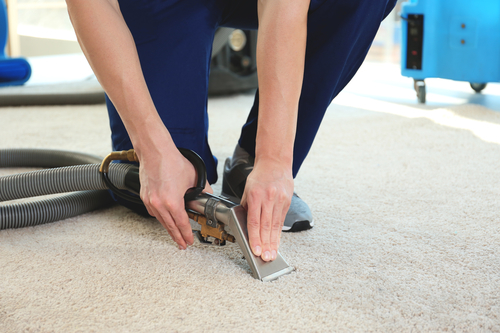 It is always recommended that you bring in a professional service before attempting to remove or reinstall carpet, in order to ensure a proper restretching of your carpet. If you suspect that soiling may be the culprit, pour a small amount of lukewarm water on the spot – just enough to re-saturate the trapped cleanser. Blot up as much of the water as you can then place a stack of paper towels or light-coloured towel down on the spot, weighing it down. If you are still having a difficult time getting rid of stains from your carpet, it is time to call in the professionals. Our team of professional carpet cleaners and repairers will help you get your carpet back into pre-stain condition. For more information, or for your free quote, please call Dr. Carpet today at 647.800.5199 today! Deciding whether to replace or repair your carpeting with carpet patching services in Toronto depends on several different factors. There are advantages and disadvantages of patching carpets so you need to weigh these to determine the best solution for your home or business. One of the more common causes requiring carpet patching repairs is from buckling and loose carpeting which bunches up in main traffic areas. As the carpeting is not flat, like it should be, the wear and tear from foot traffic can cause the carpet to rip, develop holes in highly worn areas, and result in other damages. If you notice your carpeting has buckled or seems loose in different areas, an easy remedy is to get the carpet stretched and re-secured to the subflooring. One of the main benefits gained by patching carpeting is it will cost significantly less than replacing the entire room of carpeting. Repairs are ideal for small rips, tears, and holes and help extend the life of the carpeting. If your carpeting is not that old, patching will help ensure you get the maximum usefulness out of the carpeting before it needs replaced. Professional services carefully match the pile, colour, and style of carpeting for perfect repair that is hard to notice. While there are DIY kits on the market, these never provide a great looking finish and should be avoided because proper matching and patching requires years of training and expertise. Carpet patching is great for getting rid of unwanted stains that will not come out, even after being professionally cleaned. Sometimes, certain foods will leave stains in carpets which will ruin the overall look and appearance of it. Having these areas patched restores the natural beauty of your carpeting while getting rid of the unsightly stains. There is a limit to the number of times a carpet can be patched, and if patching is becoming a monthly repair, this is often a good indication it is time to get new carpeting installed. It may not be advantageous to repair and patch older carpeting that is well-beyond its usefulness because it can make the newly repaired sections stand out. If the carpeting is more than ten years old, it is better to get new carpeting installed. Patching may not work well for larger sections that need repairs. It would largely depend on if there was just one area of the carpeting that needed fixed or multiple areas all with large damaged sections. For larger sections, it is best to arrange an in-home or in-business consultation to discuss your available options. For further questions about carpet patching and repairs or to find out what your options are, please feel free to contact Dr. Carpet at 647.800.5199 today! We specialize in many different types of patching and repairs for loose, buckling, ripped, frayed, torn, stained, and water damage carpets in the Greater Toronto Area.